The Giants now have 19 players on Injured Reserve and one more (CB Bennett Jackson) on the Practice Squad/Injured Reserve. 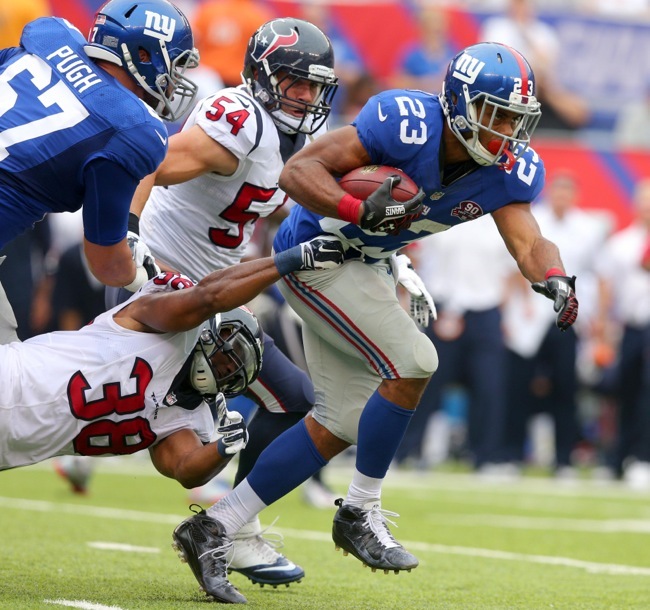 Although the Giants placed five players on Injured Reserve, the team can replace only four on the roster. Terrell Manning was signed last week from the Cincinnati Bengals’ Practice Squad. According to NFL rules, he cannot be replaced on the 53-man roster for three weeks after moving from a Practice Squad to the 53-man roster, even if he is placed on Injured Reserve. Ogbonnaya was originally drafted in the 7th round of the 2009 NFL Draft by the St. Louis Rams. Since then he has played for the Rams (2009), Texans (2011), Browns (2011-13), and Panthers (2014). Ogbonnaya has played in 51 games with 12 starts and has carried the ball 158 times for 710 yards and two touchdowns. He also has 96 catches for 714 yards and two touchdowns. Ogbonnaya is a big back with good speed. He has good hands catching the ball. Herman was signed to the Practice Squad in September 2014 after being suspended for the first two games of the season for violating the NFL’s policy on performance-enhancing drugs (PEDs). Herman also spent most of 2013 on the Practice Squad before being added to the active roster in late December. Herman was drafted in the 7th round of the 2013 NFL Draft by the Giants. Herman is a big, strong mauler who struggled with quickness and speed at the collegiate level. He needs to develop as a pass blocker in order to make it in the NFL. 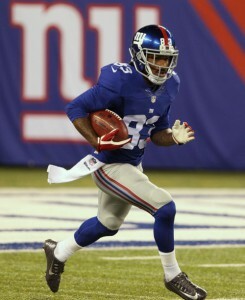 Dominique Hamilton was signed to the Practice Squad in September 2014. Hamilton originally signed with the Oakland Raiders as an undrafted rookie free agent after the 2012 NFL Draft. The Raiders cut him and was on NFL practice squads in 2012 (Redskins) and 2013 (Redskins and Chiefs). The Chiefs waived him in August 2014. Hamilton looks the part with excellent size and long arms. He’s not overly quick or agile. Hamilton is a better run defender than pass rusher. 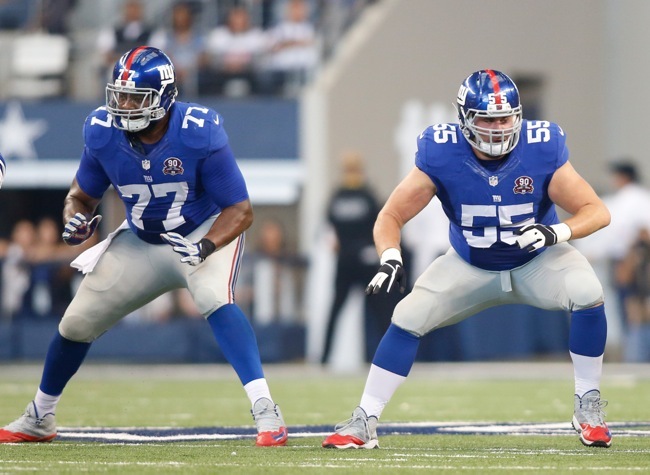 The Giants signed James Davidson to the Practice Squad in September 2014. Davidson was originally signed by the Cincinnati Bengals as a rookie free agent after the 2014 NFL Draft. He was waived on August 26. Davidson was an undersized collegiate defensive end who projects to linebacker at the pro level. Whether he has the overall athleticism and instincts for the position remains to be seen. Obviously, he is a project. 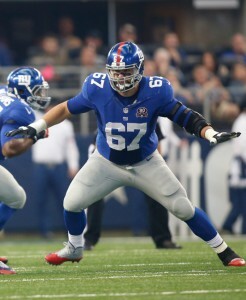 Jordan Stanton was originally signed by the Giants as an undrafted rookie free agent after the 2014 NFL Draft. Stanton was signed to the Practice Squad in August 2014 but cut on September 16. Stanton earned All-Colonial Athletic Association accolades for recording 56 tackles, 11.5 for loss, 8 sacks in 2013. Stanton has decent size and flashes some ability, but he did not really standout in the 2014 preseason. Paul Hazel was originally signed by the Jacksonville Jaguars as a rookie free agent after the 2013 NFL Draft. He was claimed by the Browns after the Jaguars waived him and he played in 13 games in 2013 for Cleveland. The Texans then claimed Hazel off of waivers from the Browns in March 2014, but he did not make the team. Hazel is a tall, thin pass rusher. Rishaw Johnson was signed as a rookie free agent by the Seattle Seahawks after the 2013 NFL Draft. Since then, he has spent time Chiefs (2013), Buccaneers (2014), Cowboys (2014), and Packers (2014). Johnson is a strong player with decent size who needs to improve his pass blocking. Notes: The Giants have lost their last three games by a total of 10 points. The last two games marked the first time in their history the Giants lost consecutive games after leading by 11 or more points at halftime in each. The Giants have been outscored in the third quarter, 109-34, a 75-point differential that is the league’s worst. September 22, 2014 New York Giants Injury Report: Not practicing during Monday’s jog-thru practice were WR Odell Beckham (hamstring), LB Devon Kennard (hamstring), and CB Zack Bowman (quad). 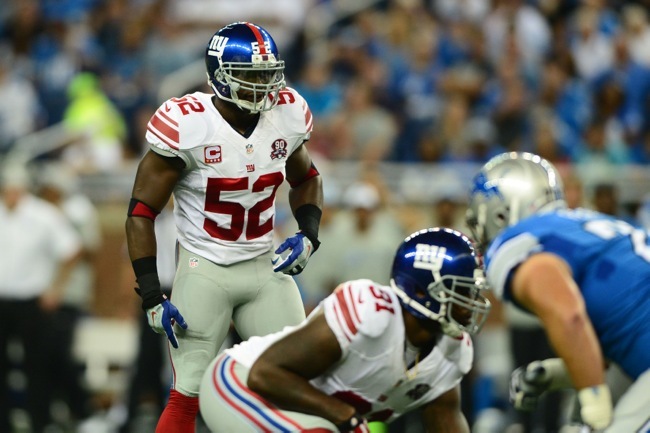 LB Jon Beason (foot/ankle), OT Charles Brown (shoulder), OT James Brewer (back), and P Steve Weatherford (ankle) practiced on a limited basis. “We are going to see to what extent Jon can be a part of our on the field work,” said Coughlin. 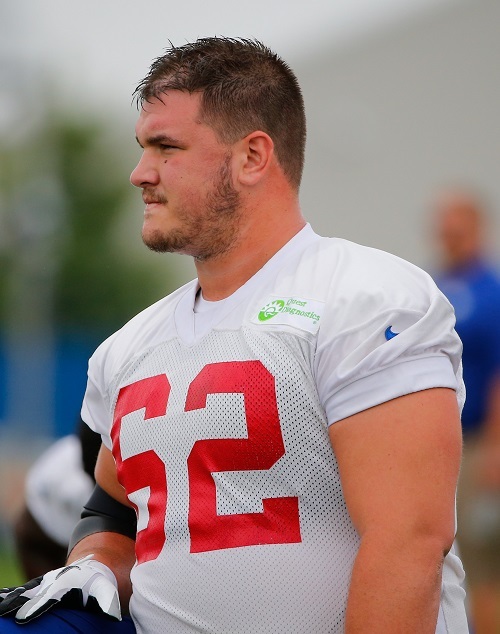 Giants Sign OG Eric Herman to the Practice Squad: The Giants have signed offensive guard Eric Herman to the Practice Squad. The team waived Herman from the 53-man roster last Friday. 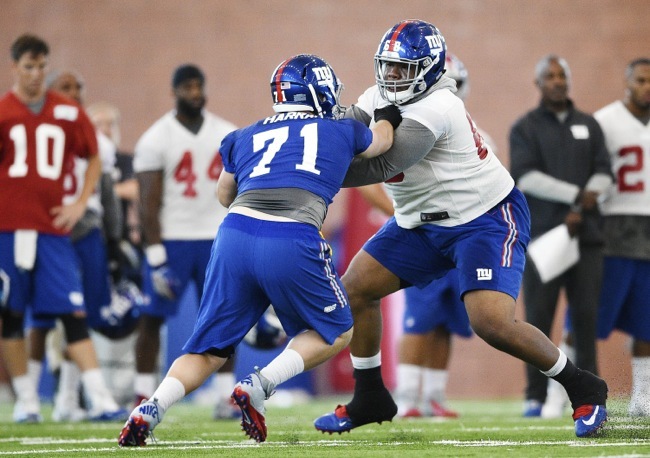 To make room for Herman, the Giants terminated the Practice Squad contract of offensive tackle Mark Asper. September 22, 2014 Tom Coughlin Press Conference: The transcript of Head Coach Tom Coughlin’s Monday conference call is available at Giants.com. Sights and Sounds from Giants-Texans Game: A sights and sounds video from the Giants-Texans game is available at Giants.com. September 19, 2014 New York Giants Injury Report: Not practicing on Friday were WR Odell Beckham (hamstring), LB Jon Beason (foot/ankle), and LB Devon Kennard (hamstring), and P Steve Weatherford (ankle). Weatherford is officially listed as “questionable” against the Houston Texans on Sunday while Beckham, Beason, and Kennard have been ruled out of the game. OT Charles Brown (shoulder) and OT James Brewer (back) practiced on a limited basis. Both are listed as “questionable” for the game. Giants Waive OG Eric Herman: The Giants have waived OG Eric Herman, who returned to the team Wednesday after serving a two-week suspension for violating the league’s policy on performance enhancing substances (PEDs). The suspension was originally four weeks, but Herman was reinstated early as a result of the terms of the League’s new PED Policy. The Giants had been granted a two-day roster exemption for Herman that expired at 4:00PM Friday. Herman is eligible to join the practice squad. September 19, 2014 Tom Coughlin Press Conference: The transcript and video from Friday’s press conference with Head Coach Tom Coughlin are available at Giants.com. September 18, 2014 New York Giants Injury Report: Not practicing on Thursday were WR Odell Beckham (hamstring), LB Jon Beason (foot/ankle), and LB Devon Kennard (hamstring). 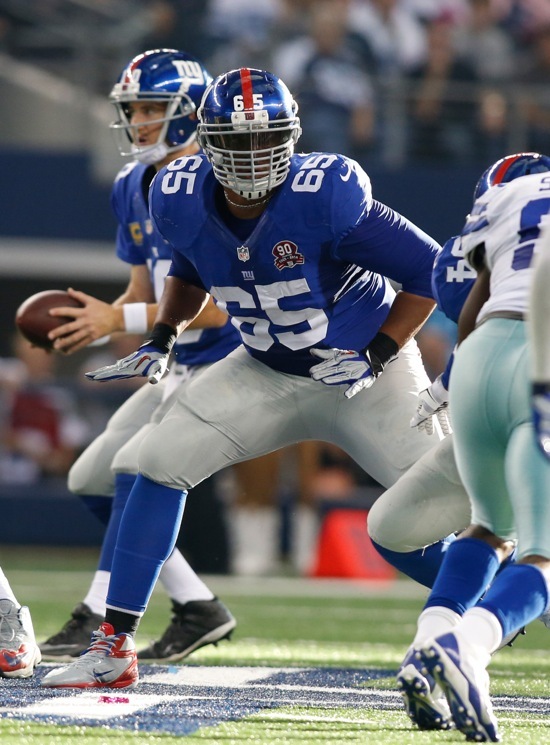 OT Charles Brown (shoulder), OT James Brewer (back), and P Steve Weatherford (ankle) practiced on a limited basis. Eric Herman’s Suspension Cut to Two Games: OG Eric Herman, who was originally suspended for the first four games of the 2014 NFL season for violating the NFL’s policy on performance-enhancing drugs, has had is suspension reduced to two games. He is now back with the team. The Giants have been granted a roster exemption for Herman until 4:00PM on Friday. Giants Online – Week 3 Preview: The video of this week’s Giants Online is available at Giants.com. New York Giants offensive lineman Eric Herman has been suspended without pay for the first four games of the 2014 regular season for violating the NFL policy on performance enhancing drugs (PEDs). 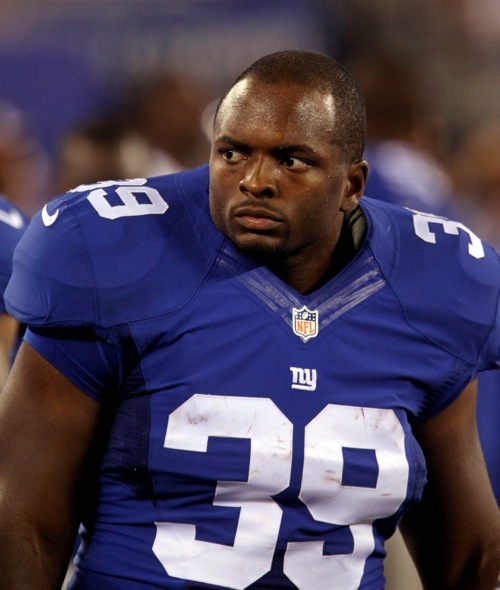 If Herman makes the team, he will be eligible to return to the Giants’ active roster on September 26. Between now and the start of the regular-season, Herman can continue to practice with the team and play in the preseason. Herman was drafted as a guard in the 7th round of the 2013 NFL Draft. He spent most of 2013 season on the Practice Squad before being activated to the 53-man roster in late December. 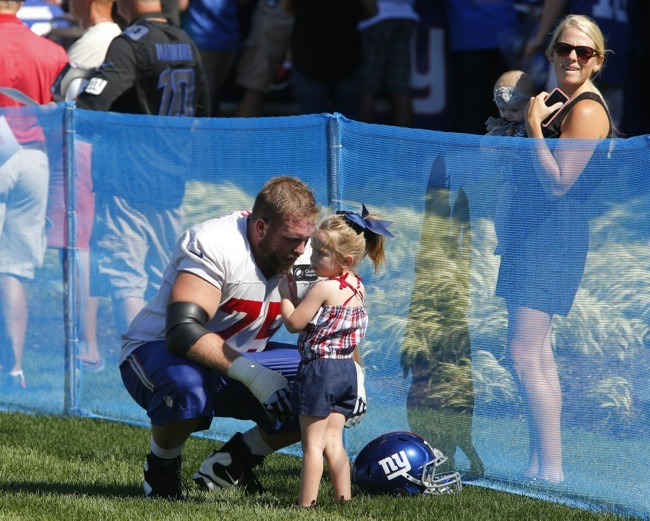 The Giants shifted him from guard to center this offseason. Over the course of the last few years, a number of Giants have been suspended by the NFL for violating various drug policies including safety Will Hill (three times, causing his release from the team this offseason), cornerback Jayron Hosley (suspended for four games this upcoming season), safety Tyler Sash (2012), defensive tackle Jimmy Kennedy (2011), and wide receiver Brandon Collins (2013). Running back Andre Brown was also suspended but won his appeal (2012). 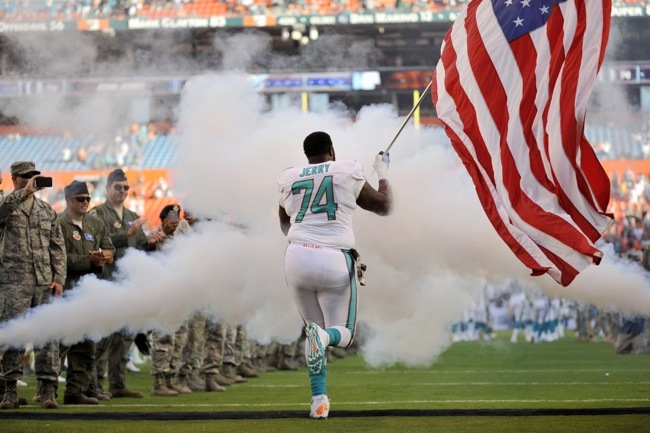 New York Giants Sign John Jerry: The New York Giants announced on Friday that they have officially signed unrestricted free agent offensive guard/tackle John Jerry (Miami Dolphins). The contract is reportedly a 1-year, $770,000 deal with $25,000 in guaranteed money. The 27-year old Jerry, who was drafted in the 3rd round of the 2010 NFL Draft, started all 32 games at right guard for the Dolphins the past two seasons. He was one of the players cited in the infamous Jonathan Martin bullying case. 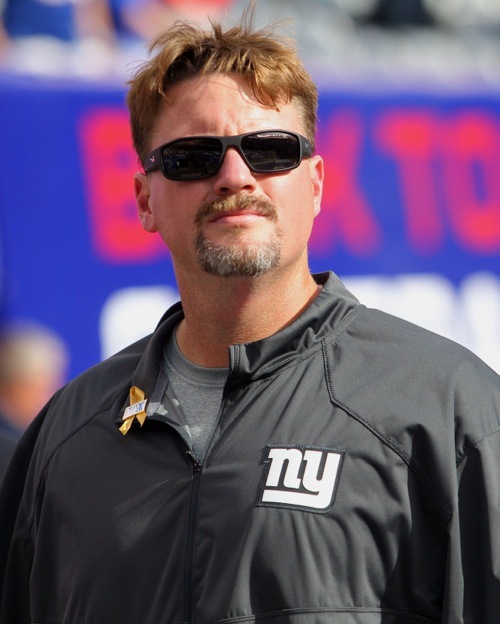 Because of this move, we have updated the New York Giants Free Agent Signings (with scouting report), New York Giants 2014 Free Agency Scorecard, and Roster sections of the website. New York Giants Close to Signing Zack Bowman: According to ESPN, the New York Giants are close to signing unrestricted free agent cornerback Zach Bowman (Chicago Bears) to a 1-year deal. The 29-year old Bowman has played six seasons for the Bears and started seven games at corner in 2013. The Giants have already signed cornerbacks Dominique Rodgers-Cromartie and Walter Thurmond this offseason in addition to re-signing cornerback Trumaine McBride. Giants No Longer Interested in Anthony Spencer? : According to NJ.com, the New York Giants are no longer interested in unrestricted free agent defensive end/linebacker Anthony Spencer (Dallas Cowboys). Spencer visited the Giants this past Sunday and Monday. 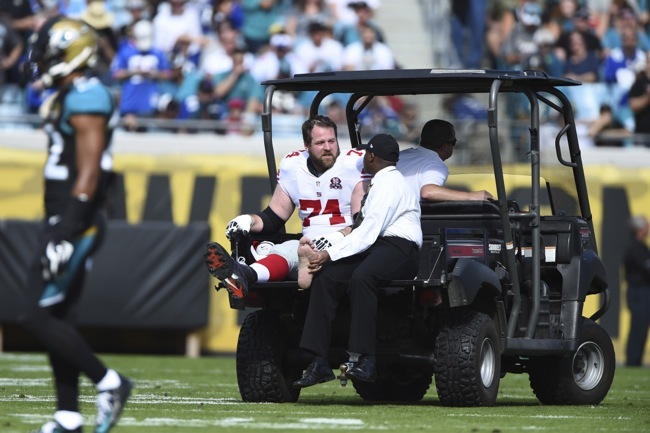 A source told NJ.com that the Giants are concerned about Spencer’s physical condition. Spencer had microfracture surgery on his left knee last year. Eric Herman Had Hip Surgery: The Bergen Record is reporting that offensive guard Eric Herman had hip surgery after the 2013 season. He reportedly is progressing in his recovery.